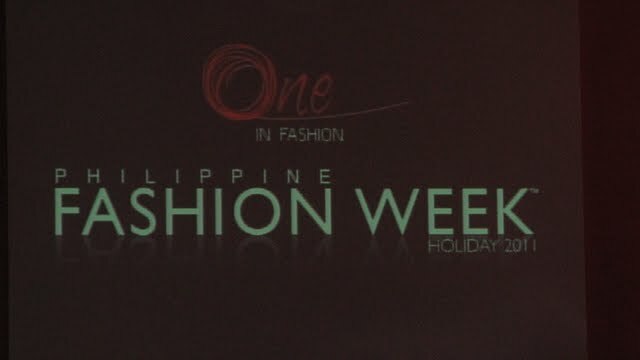 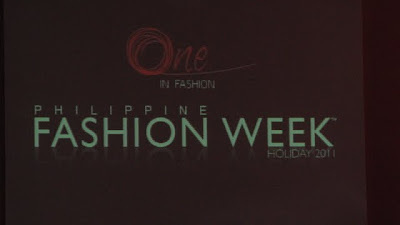 I know more than a week has passed but I just have to post this last update on my PFW Holiday 2011 series. 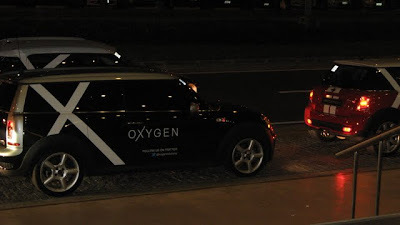 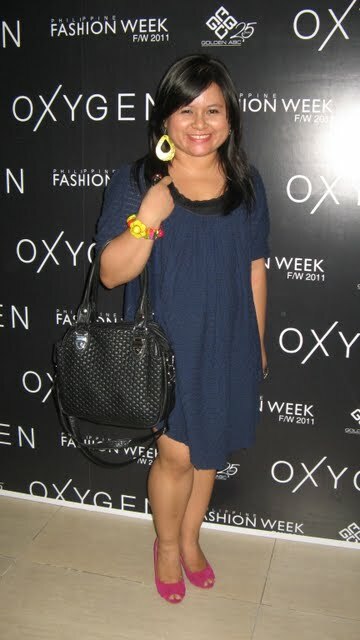 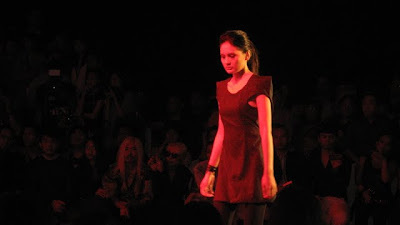 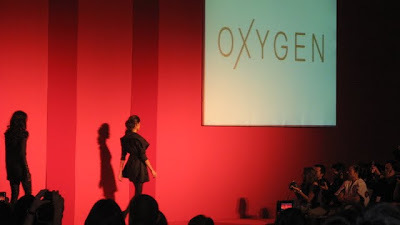 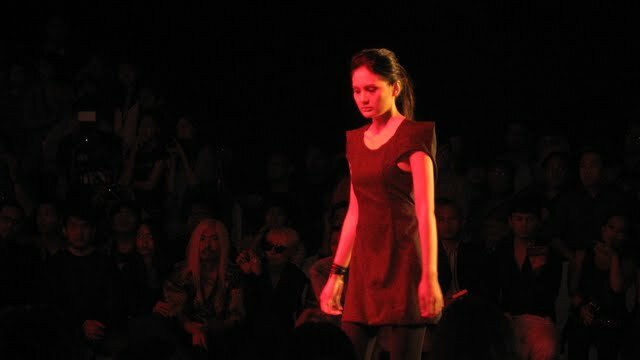 Its one of my most favorite shows that I attended this Fashion Week which is the Oxygen Show. 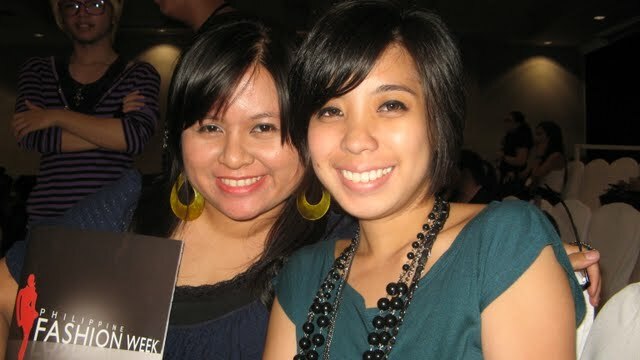 We thought we couldn't get in but again, Jen got us tickets through a contest and there we were! 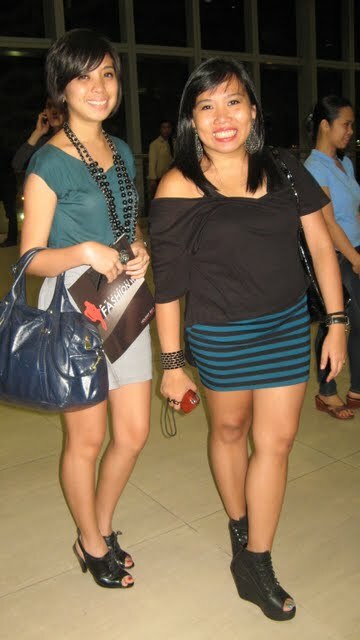 My companions for the day, FashionistArchitect Rache and Shopgirl Jen waiting in line for the show! 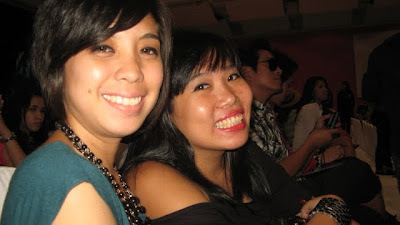 Taking photos of ourselves while waiting for the show to begin. 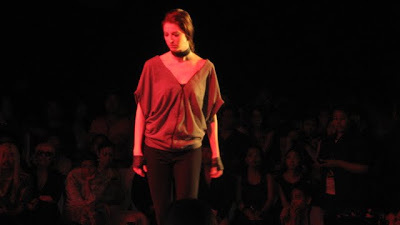 Then the lights dimmed and the show started. 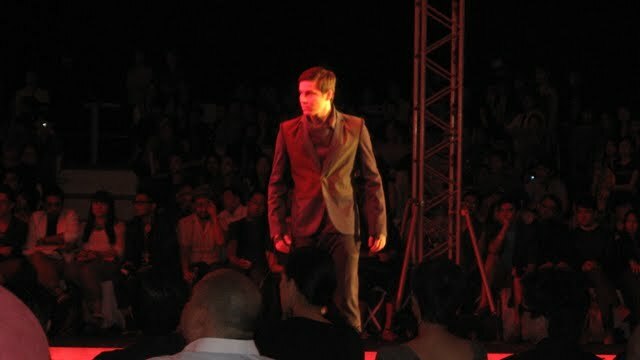 Love the greys and blacks outfits. 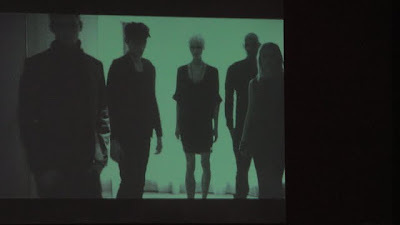 The music was awesome! 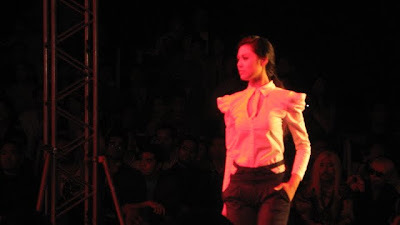 Here are some of my fave pics! I really like the corporate look of this one - power shoulders! And that has to be one awesome ride!